When I was younger, I spent a lot of time shooting. 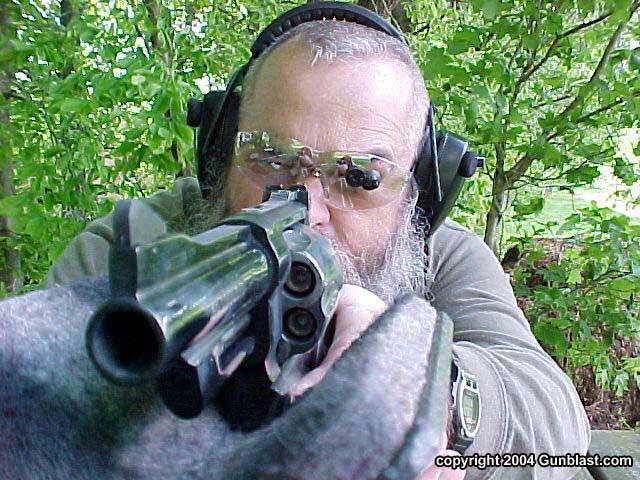 Rifles, handguns, shotguns….it didn’t matter, I was shooting. 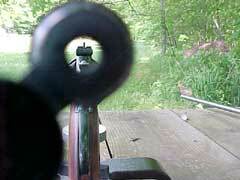 I never gave much thought to the process of sighting and aiming; it just came naturally. Later, I started to slowly realize that the quality control at the gun companies was slipping, as the sights that they were installing on their guns were not as sharp and clear as they once were. 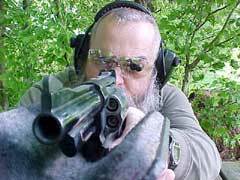 After I reached the magical age of forty, most of the front sights began to grow fuzz on them, even on my older handguns that were once sharp and clear. If that wasn’t bad enough, a good black bull's-eye target looked great at twenty-five yards, but if I looked at it over the top of open handgun sights, it appeared as a blurry little blob of mud. 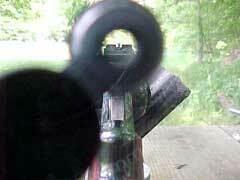 Shooting handguns and rifles with open sights requires the eye to do some optical calisthenics. The eye can only focus on one optical plane at a time, but quickly changes focus from the front sight, to the rear sight, and to the target repeatedly. Youthful eyes can do this so quickly that it seems as if all three are in focus at the same time. However, as our eyes get older, they lose the flexibility to quickly change focus. Regardless of whether or not the shooter wears glasses, the eye must still shift its focus from the sights to the target. A few years ago I had eye surgery, and had to put medicine into my eyes a few times every day. I quickly realized that the world’s smallest writing is on a bottle of eye drops. Think about it. If my eyes were working perfectly, I would not need to read the writing on the bottle, but since I needed to read the information, it is written as small as a grain of salt. Life can be a cruel joke at times. Anyway, I discovered that by looking through a small pin hole in a piece of paper, I could clearly read the writing on that bottle of medication. By this same principle, looking through a small aperture allows a shooter to focus on his gun sights and the target at the same time. Studying photography several years ago taught me that by using a smaller iris, or f-stop setting, the depth of field is increased dramatically. The light entering the camera lens through a small hole produces a clear, sharp, in-focus image from up close out to infinity. Shooters can use this same principle to clearly focus their sights and their target at the same time. 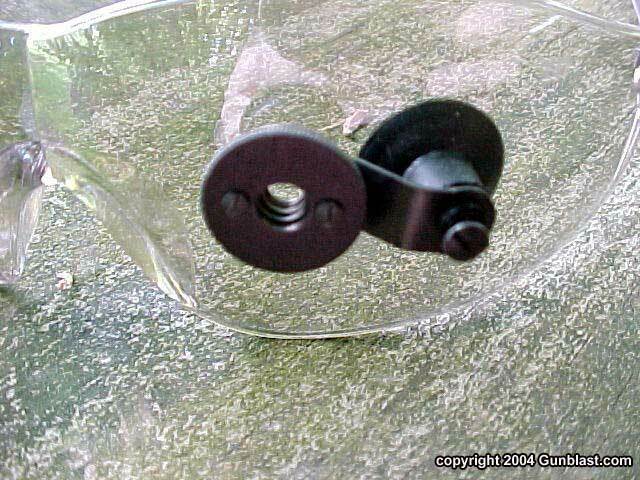 There is a little device known as the Merit Optical Attachment that bull's-eye target shooters have used for years to help them shoot better scores, and it works just as well for the casual target shooter and plinker. Testing handguns and rifles for Gunblast.com, I try to achieve the best accuracy of which any test gun is capable, to show the readers the potential of the gun being reviewed. Scoping a rifle or handgun usually allows me to realize the accuracy potential of the firearm, but with some guns this is neither practical nor possible, and clearly seeing open sights is harder than it used to be. I had known of the Merit device for several years, and decided to try one. I should have done it long ago. The Merit Optical Attachment is one of those devices that is both simple and amazing at the same time. 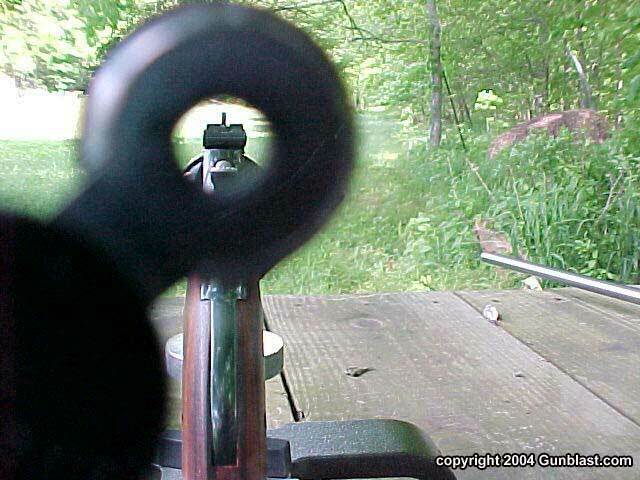 It uses the same principle as described above for a camera lens to clearly sharpen the image of the target and the sights, resulting in a much better sight picture. It attaches to the shooters prescription or safety glasses with a small rubber suction cup. The aperture swings out of the field of view when not in use. The size of the aperture is adjustable by rotating the outside of the disk. This allows the shooter to adjust the size of the aperture to allow the best sight picture for differing light conditions. 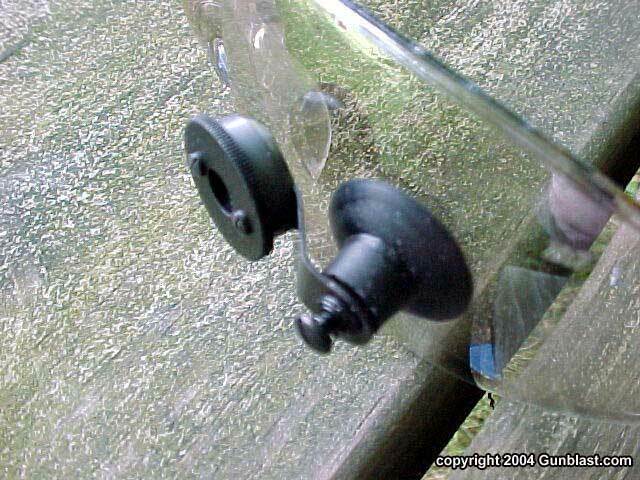 The suction cup holds firmly in place, and did not loosen or move after being stuck to the lens of my shooting glasses for several days. 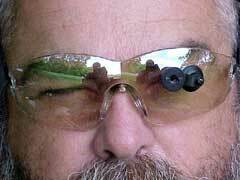 The device weighs less than a quarter of an ounce, and adds no discomfort to the weight of the glasses. It has greatly enhanced my ability to better focus the sights on target, and therefore to shoot better groups. I found that it also sharpens the image of a red dot sight. Red dot sights have always appeared fuzzy to me, but the Merit device cured that problem instantly. The Merit Optical Attachment is a great little product for shooters of all ages, but particularly those who can’t see sights as sharply as they once could. It is available for $65 from Brownells online at: www.brownells.com or by calling 1-800-741-0015. Their product number is 571-001-000. It works, and I highly recommend it. All content © 2004 GunBlast.com. All rights reserved. The Merit Optical Attachment, available from Brownells, is a simple little device that can seriously enhance your ability to shoot with open sights. Author found that the Merit Optical Attachment can actually help reduce the effects of aging on the eye's ability to focus in three planes (rear sight, front sight, and target). It is ingenious, simple, inexpensive, and highly recommended.